Boat Tours, Nightlife, Food & Drink, Outdoor Activities, Tours, Sights & Landmarks, Zoo. Denver is located at the base of Colorado's Rocky Mountains. The scenery here is absolutely gorgeous and the ability to head to one of the nearby day spas, ski lodges, and resorts for a little rest and relaxation is a definite possibility when you hold your Bachelorette Party in Denver. This is one lively town that is known for its hospitality to those who wish to live it up in the city. 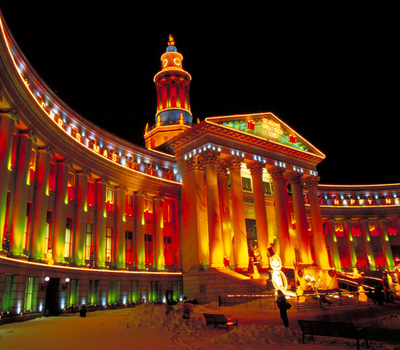 Denver is the cultural center of the Rockies. Boasting an aquarium and a National Science Museum with a digital planetarium, there are plenty of things to do during the daylight hours. With a rich theatre community there are also many plays and musicals performing in the city during the evening and weekend matinee performances. Of course, Denver is also known to have a diverse music scene, with plenty of night clubs where you can catch both famous and budding performers as they play live music every evening. Any Bachelorette would be pleased to have a party in Denver.